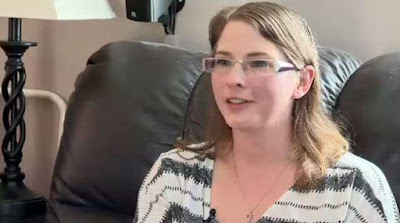 A mother from Winnipeg, Canada, says she was investigated by Child and Family Services simply for letting her children play in her backyard. Jacqui Kendrick, a stay-at-home mother, says a CFS worker showed up unexpectedly at her door in early April. The worker told her they were doing a “well-being check” after receiving a complaint about her children being left unsupervised. Kendrick has three children ages two, five and 10, who love to play in the family’s backyard after school. The backyard is fully fenced in, with a wood fence covering three sides, and a portion of the front covered by a chain link fence and gate. Still, the worker with the CFS, the provincial body that apprehends abused and neglected children, insisted she was obligated to investigate and ask a few more questions. “We had to go through a whole interview asking so many questions, asking me about if we’ve ever dealt with CFS before, what my childhood was like, how I punish my children, whether we drink or do drugs... She had to look to see where my kids slept. She had to see if we had enough food in the house,” Kendrick said. “The whole time I’m sitting there, pretty much in tears, because I couldn't understand what was going on." She said the worker seemed to feel that everything was fine and she’s heard nothing further from them. Still, Kendrick doesn’t understand why whoever called authorities didn’t speak to her directly. 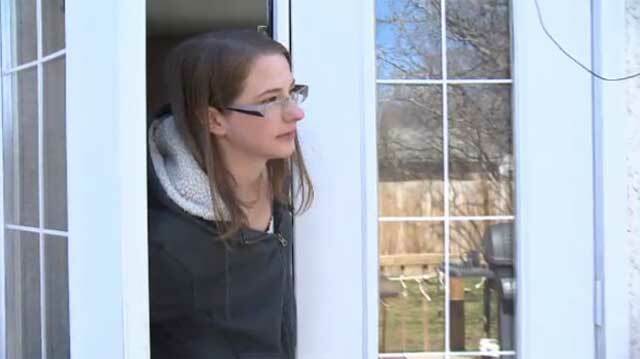 “If you really had a concern, you could have knocked on my door,” she said. Manitoba's Child and Family Services Act states a child 12 or older can be left home alone unsupervised; it doesn't mention anything about children unsupervised in a backyard. In a statement, a spokesperson said the CFS is obligated to follow up on all reports of children at risk. No one would speak specifically about this case.. Now, Kendrick worries that her name is on CFS files, and that further complaints could lead to her kids being taken away. “Anyone else ever wants to complain for any reason, there's always going to be a file there,” she said. I'm so glad that I was raised, and I raised my son during the time that sanity existed. Talk about over the top. These people would sh*t themselves if they were to be transported in time back to the '50s. I can't imagine their reaction to seeing a half dozen kids riding down the street in the bed of a pickup or drinking from a garden hose. And we all "survived" without their intervention. I was raised on a farm and had about 200 acres to roam unattended. I would spend hours at the creek about 1000 yards (about .56 miles) from the house. What a life!! But, today is different: the Holy Spirit is slowly being withdrawn from the Earth. When I was 10 back in the early 1950's my mother booted me out the door (no options) on "non-school" days if it wasn't pouring rain at 10 AM. I was told to be back at noon for lunch (Campbell's Tomato soup and saltines). Then it was out the door again till 5 PM dinner. Standard fare was baseball, tackle football (no padding and helmet) and, of course cowboys & Indians with lots of cap pistols. We lived in a small town and all the adults watched out for the kids. Child welfare agency? Not in our town. I miss those days. I can't understand the overprotectiveness these days. At the local elementary school, children cannot leave unless a parent or other adult is waiting. Why anyone would think children were not safe playing in their own fenced yard is beyond my understanding.